When fulfilled, Modi’s ambition to make India a great power will mark the beginning of a third epoch in Indian foreign policy, when its weight and preferences will determine outcomes in the global system. New Delhi’s current ability to expand its national power is handicapped by an overly regulated economy, inadequate state capacity, burdensome state-society relations, and limited rationalization across state and society writ large, all of which have persisted throughout India’s history as an independent nation. Whether India becomes a great power depends on its ability to achieve multidimensional success in terms of improving its economic performance and wider regional integration, acquiring effective military capabilities for power projection coupled with wise policies for their use, and sustaining its democracy successfully by accommodating the diverse ambitions of its peoples. Even if India manages to undertake the myriad reforms necessary to achieve these aims, many analyses suggest that it will be the weakest of the major poles for decades to come, geographically located uncomfortably close to a powerful China. Complete the structural reforms necessary to create efficient product and factor markets. India has lost too many opportunities to build efficient markets that foster innovation and accelerate long-term trend growth. The government needs to redirect its activities toward producing better public goods, while establishing an institutional framework that stimulates private creativity and increases rationalization across Indian society. Create an effective state to leverage India’s capacity to build its national power. Without a vastly improved presence in society as well as better extractive and regulatory capacities—all of which require a more autonomous state—India cannot accumulate material capabilities to rapidly become a great power. Foster a strong relationship with the United States. The United States is an important host for India’s skilled labor; remains a critical source of capital, technology, and expertise; and constitutes the fulcrum of strategic support for India’s global ambitions. If India maintains robust ties with the United States, even as it strengthens relations with key U.S. allies in Asia and beyond, it will continue to gain indispensable benefits. Ashley J. Tellis is a senior associate at the Carnegie Endowment for International Peace specializing in international security, defense, and Asian strategic issues. Bombs used in the March 22 attacks in Brussels displayed a degree of tradecraft not before shown by the Islamic State outside its core areas of operation. The bombings at the Zaventem airport and at a metro station in Brussels killed 35 and wounded more than 300, making them the deadliest jihadist bombing attack in the West in more than a decade. Strangely, Laachraoui has been identified as one of the suicide bombers who attacked the airport in Brussels. It is rare for an organization's bombmaker to participate in a suicide attack - they are simply too valuable to waste - but it appears as if Laachraoui, under heavy police pressure, chose to go out intentionally rather than to risk being captured like his fellow conspirator, Saleh Abdesalam, who was arrested March 18. No matter Laachraoui's motive, it is good news that a well-trained bombmaker is out of the picture. However, the threat of jihadist bomb attacks against targets in Europe and elsewhere in the West did not die with Laachraoui, and authorities and citizens alike are left to wonder: How many other trained Islamic State bombmakers remain at large? Islamic State’s capabilities warrant much more scrutiny than its ideology. Summary The media and online sources are increasingly filled with details on how the Islamic State and other jihadist groups are able to continue to operate with near impunity. Despite this growing wealth of information, the public debate suffers from a poverty of thought on the capabilities of IS – in part because of the disproportionate amount of focus on its intent and ideology. IS and other such groups should be treated like intelligence agencies who have to avoid detection. And since IS has established a state, it has more resources than similar groups like, al-Qaida. Ever since the 9/11 attacks, a great amount of energy has been expended trying to prevent jihadists from carrying out attacks, especially in the West. There has of course been considerable progress in ensuring that attacks on the scale of 9/11 do not occur again. Those were much harder to pull off to begin with, and in the post-9/11 international security climate, their probability has gone down even further. But just as those engaged in counterterrorism have made progress in the past 14 years, those in the business of terrorism have also experienced a significant learning curve. Jihadist organizations have opted for less ambitious attacks at a greater volume and frequency, instead of a few large-scale attacks. They also benefit from the fact that they have far more targets to choose from than they could actually attack, while security forces cannot possibly protect more than a handful of targets. Our recent article, The Cycle of Terrorism, elaborated on how security forces go on high alert after a terrorist attack, while terrorists go to ground and wait, and eventually states naturally lower their guard, presenting opportunities for terrorists to seize and start the cycle all over again. To break this cycle, intelligence agencies must infiltrate groups such as IS because detecting attack plans from outside is extremely difficult. China,” a prominent Chinese think tank head in the process of moving abroad recently lamented in private. Such refrains are all too familiar these days as educated Chinese professionals express growing alarm over their country’s future. Indeed, not since the 1970s when Mao still reigned and the Cultural Revolution still raged has the Chinese leadership been so possessed by Maoist nostalgia and Leninist-style leadership. At the center of this retrograde trend is Xi’s enormously ambitious initiative to purge the Chinese Communist Party of what he calls “tigers and flies,” namely corrupt officials and businessmen both high and low. Since it began in 2012, the campaign has already netted more than 160 “tigers” whose rank is above or equivalent to that of the deputy provincial or deputy ministerial level, and more than 1,400 “flies,” all lower-level officials.1 But it has also morphed from an anticorruption drive into a broader neo-Maoist-style mass purge aimed at political rivals and others with differing ideological or political views. 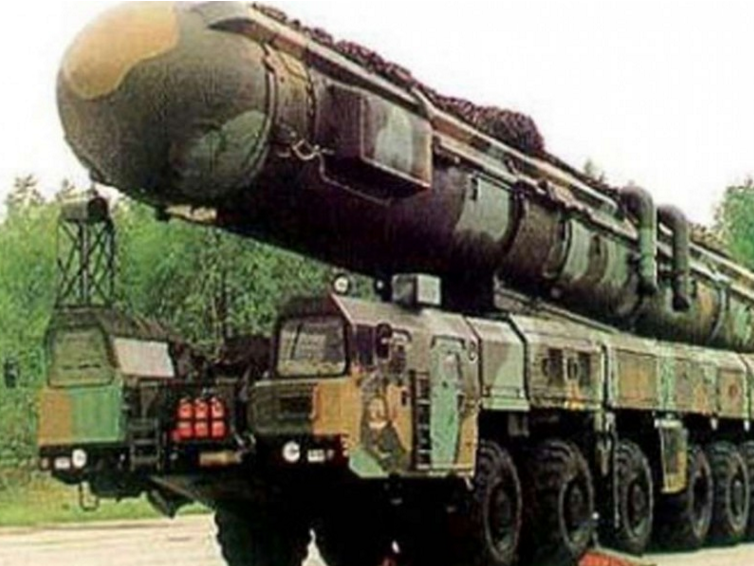 China's DF-41 has been described as "the world's longest-range missile," capable of striking the US from anywhere in China, and it could be ready as early as this year, the South China Morning Post reports. "Given the number of real reported tests, it is reasonable to speculate the DF-41 will be deployed to PLA Strategic Rocket Force bases in 2016," Richard Fisher, senior fellow at the International Assessment and Strategy Center in Washington told the Financial Times. Once fielded, the DF-41 will absolutely change the game for the People's Liberation Army's Rocket Force. Previous sil0-based Chinese missile systems were immobile, but the DF-41 can be launched from mobile platforms. Analysts also say the missile could fly over the North Pole and hit the US within 30 minutes, or fly over the Pacific ocean in a few minutes more with a payload of ten individually targetable nuclear warheads. The estimates of the DF-41's speed place it comfortably in the range of hypersonic missiles, or well above Mach 5. With the Islamic Republic of Iran coming out of long standing global isolation in the aftermath of the lifting of sanction early this year, there is a sort of gold rush to exploit a range of opportunities that this resurgent oil rich country presents. Clearly and apparently, the lifting of sanction makes for the removal of restrictions on its oil, petro-chemicals, banking, natural gas and port sectors which are critical to the economy of this strategically located West Asian country. By all means, Tehran continues to hold immense strategic significance for India since Iran fits in well into the geo political and economic equation of India. And on a more practical plane, Iran could also be a trusted ally in India’s strategy to influence the course of events in the war ravaged Afghanistan where Taliban continues to pose a challenge to the ruling dispensation in Kabul. It was a sad commentary for the nation when, in 1999, during the Kargil War the then Chief of Army Staff had lamented, “We will fight with what we have.” This was the unfortunate consequence of a decade of neglect in the modernisation of the military by the earlier governments. There seems to be a notion amongst the political class and bureaucrats that buying some pieces of new weaponry and weapons system make an army ‘modern’, and that these are readily available off the shelf. No wonder the governments tend to leave the modernisation to that last moment when they are confronted with an imminent conflict situation. Despite all the talk of globalisation and economic inter-dependence in the world at large, governments are duty bound to provide safety to its people within its territorial boundaries and now its Diaspora too – “salus populi suprema lex” (The safety of the People is the supreme law). New legislation signals the U.S. wants to partner with India’s military. Can Delhi justify the collaboration? China’s growing military assertiveness demands international action, and India and the U.S. are uniquely positioned to respond. The two countries aren’t treaty allies, and there’s no crisis to mobilize popular sentiment in favor of enhanced defense cooperation. Yet the imperative for military collaboration is strong. No wonder U.S. Secretary of Defense Ashton Carter, who returns to New Delhi next month, has vigorously pursued the development of an effective defense partnership over the past eight years. With India’s vibrant democratic political system, demographic weight, economic power and military potential, a strong Indian military can maintain its country’s sovereignty while helping preserve security in Asia. The U.S.—with its large Indian diaspora, close cultural and economic ties to New Delhi and unparalleled military capabilities—is a natural partner. But a real partnership requires more than mutual interests and comforting rhetoric. It requires give-and-take for a common goal. George Holding (R., N.C.) has introduced legislation in the House of Representatives that provides a practical roadmap for both sides. The suicide bomber who killed seventy-two people on Easter Sunday in a park in Lahore, Pakistan has drawn condemnation from around the world. Among the killed were twenty-nine children, and another 370 people were wounded, many of them members of the country’s Christian minority. Far less noted, however, has been the attack’s equally devastating effect on relations between Pakistan’s army and civilian government, which threatens to bring further instability to the country’s Punjab heartland. At the heart of the crisis are two men, General Raheel Sharif, commander in chief of the Pakistan army, and Prime Minister Nawaz Sharif, head of the civilian government. 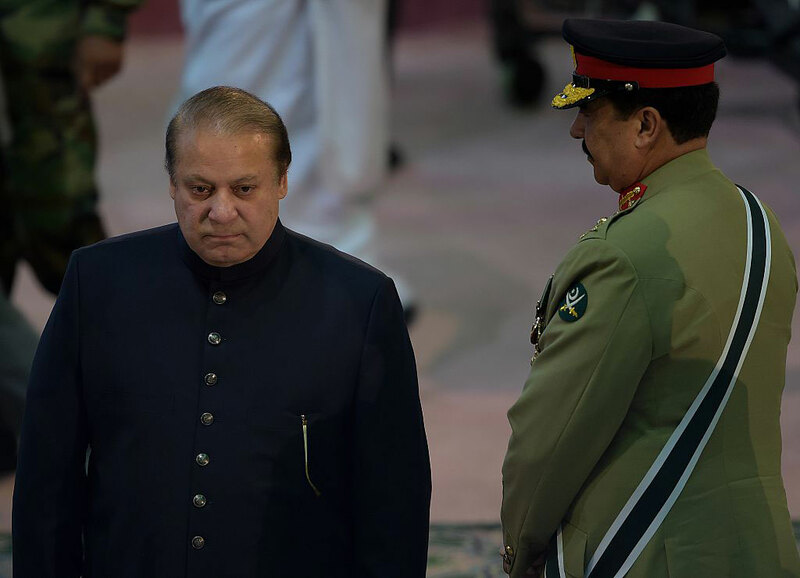 For the past eighteen months, the two Sharifs (no relation) have maintained a tenuous political compact: the army—in some consultation with the prime minister—had overall control of Pakistan’s foreign and nuclear policy, as well as its counterterrorism strategy in Karachi, in the south, and along the border with Afghanistan, in the north. In turn, the civilian government could run the economy, and, most significantly, keep control of the prime minister’s home province of Punjab—the most populous region of the country, which includes the city of Lahore. Counterterrorism actions in Punjab were entrusted to the Punjab police rather than the army. "Tighten Discipline" "Remain Loyal to the Party's Endeavor" - Calls for leadership to the Chinese Communist Party are a regular feature of Chinese politics, but CCP General Secretary Xi Jinping's latest campaign has some important features. Recent calls for loyalty to the Chinese Communist Party, and particularly its top leadership, have brought renewed attention to this important internal messaging phenomenon. However, insistence on loyalty is not a new phenomenon in the People’s Republic of China, and historical context and examination of recent loyalty campaigns provide useful background to understanding Chinese President and Communist Party General Secretary Xi Jinping’s recent series of high-profile visits and speeches involving loyalty to the Party. Going back to the previous generation of leaders, for example, during the 2000s, in the era of Hu Jintao, there was the principle of the “Three Supremes”—upholding the Chinese Communist Party’s (CCP) cause, the people’s interests and the constitution and laws. But under Xi Jinping, the quest for loyalty, the groups targeted in the campaign, and the ways that loyalty has been articulated are different. Chinese President Xi Jinping, visiting Hunan province has emphasized food production and achieving food security in a speech this week (Xinhua, March 9). Among the many economic challenges facing China’s leaders, food security, though often overlooked, is an important indicator of China’s broader assessment of its domestic and foreign security, making it a high priority for the central leadership in recent years. China has both an immense population and a restricted amount of arable land due to its hilly geography. Furthermore, this total has shrunk in recent years due to the rapid growth of urban areas, and in an overlapping concern with food safety, increasing amounts of pollution accumulating in arable land. This makes building domestic grain production abroad a priority. The 13th Part of the “Guideline for the 13th Five-Year Plan” (2016–2020), for example, included a push for land-cultivation capacity to boost food security (Xinhua, November 3, 2015). When China is at peace, foreigners will submit willingly. Therefore, if one wants to repel external threats, he must first bring internal peace. China’s People’s Armed Police, or PAP, is the world’s largest internal security force. Last reported to number 660,000, PAP units are quartered across China at every echelon of administration from the county-level up. The PAP is one component of China’s armed forces (中华人民共和国武装力量), along with the army and militia, though it receives little attention from international media compared to the People’s Liberation Army (PLA). But the ongoing armed forces reforms championed by President Xi Jinping have placed the PAP under the spotlight. Questions are being raised about the future of the PAP, making it a suitable moment to revisit the organization, especially when previous military reforms that aimed to reduce the size of Chinese armed forces instead increased the size of the PAP. Given the PAP’s core mission of maintaining social stability (维稳)—the elimination or containment of any genuine threat to public or state security—the PAP is likely to retain its size and develop further as an important tool in guaranteeing the Communist Party’s rule of China. 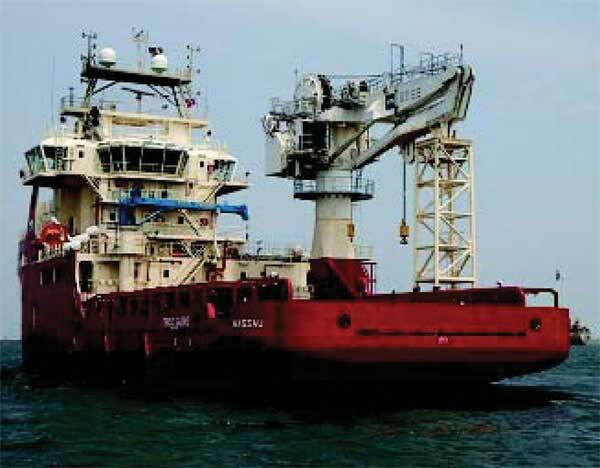 On March 19, Chinese and Indonesian media reported that a confrontation had taken place between Chinese fishing boats and an Indonesian Fisheries Ministry ship near the Natuna Islands, in the South China Sea (Guancha, March 21; Konpas [Indonesia], March 21). Indonesian media reported that the country’s foreign minister, Retno L.P. Marsudi, had summoned China’s chargé d’affaires in Jakarta to lodge a letter of protest (Konpas [Indonesia], March 22). When questioned about whether the Chinese fishing ship was in Chinese or Indonesian waters, Chinese Ministry of Foreign Affairs Spokesperson Hua Chunying responded that the vessel was in “traditional Chinese fishing waters” (MFA [China], March 21). China concedes that the Natuna Islands, a small archipelago nearby, is not Chinese territory. However, the fact that the incident occurred within “traditional Chinese fishing grounds,” combined with the ambiguity of the nine-dash line that China uses to demarcate its territorial claims in the South China Sea, creates the potential for conflict. A definitive shift was discernible in Beijing’s policy towards the Dalai Lama at the 4th plenary session of the 12th National People’s Congress (NPC), China’s version of a parliament, that concluded in Beijing on March 15, 2016. China additionally utilised the Chinese People’s Consultative Conference (CPPCC) and NPC sessions – popularly called the ‘Big Two’ -- to subtly continue its efforts to drive a wedge between the Dalai Lama and the various Tibetan Buddhist sects in the bid to undermine his influence and isolate him. Remarks by officials of the Tibet Autonomous Region (TAR) on the sidelines of the ‘Big Two’ clarified that there would be no relaxation in the tough policies being implemented in Tibet. Tibet has been a major preoccupation of the Chinese Communist Party (CCP) leadership, but interestingly, CPPCC Chairman and Politburo Standing Committee (PBSC) member, Yu Zhengsheng, did not make specific mention of Tibet in his 16-page report to the 2,200 delegates attending the opening session of the CPPCC in Beijing on March 3, 2016. He merely said: “We promoted ethnic unity and religious harmony to bring together the will and strength of the people.” The CPPCC, incidentally, is China’s top political advisory body overseeing work relating to national minorities and specifically Tibet and Xinjiang as well as non-Communist Party organisations. Nonetheless the Tibet issue figured directly in remarks by Deputies during the sessions and also in the days around the ‘Big Two’ sessions. Xi Jinping is trying to do the impossible – modernise China’s armed forces without spending the kind of sums that would alarm its neighbours, while simultaneously strengthening itself to deal with internal security challenges. 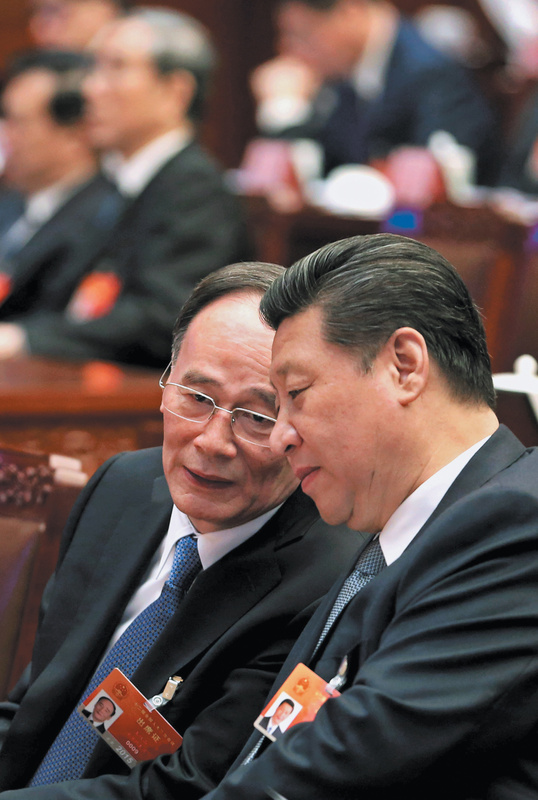 The recently held annual session of the National People’s Congress – China’s parliament – placed a lot of emphasis on the relatively low increase in the country’s defence budget despite the leadership’s ambitioys plans to modernise and reform the Peoples Liberation Army (PLA). Zhang Dejiang, chairman of the standing committee of the NPC, also took the opportunity to defend the recent counter-terrorism law, suggesting Beijing is increasingly driven by a sense of internal insecurity as opposed to external. Zhang declared that China had “a solid legal foundation for accelerating the establishment of a national security system and taking a distinctly Chinese approach to national security.” This was seen by many in the West as a strong rebuttal of the criticism of China’s counter-terrorism law and the draft laws on cyber security and management of NGOs. Zhang, who is also a member of the politburo standing committee and is the third ranked leader in the Chinese hierarchy, said that that China was facing a complex threat from terrorism and needed to intensify its counter-terrorism activities. The broad outcome of the NPC session was to put the legislature’s imprimatur on the annual work report of the premier, Li Keqiang as well as the 13th five year plan, which gets underway this year. As such, it approved the smaller-than-expected increase in the defence budget, and sought to flesh out its national security views through a separate chapter in the plan. The West Should Heed Russia’s Geopolitical Advice On The Middle East. Russia’s success against the Islamic State and Europe’s failure bears an uncanny resemblance to the tide of events in the Second World War. Western Europe has always treated Russia with scorn and disdain. It is not too late for the West to heed Russia’s geopolitical advice on the Middle East. The West and particularly Europe’s failure to prevent Islamic State (IS) terrorist attacks on its big cities like Paris and Brussels is contrasted by Russia’s staggering successes against the militant organization in its bases inside Syria. Russian air and space forces hours prior assisted Syrian troops loyal to the Bashar al-Assad government to recapture the great Semitic city of antiquity called Palmyra. Russian President Vladimir Putin has already arranged for UNESCO to save such of Palmyra’s priceless heritage as has not been destroyed by Islamic State philistines. Russia’s success against the Islamic State and Europe’s failure bears an uncanny resemblance to the tide of events in a global conflict of the last century that spread catastrophe everywhere. This is the Second World War. Until Russia’s predecessor state, the Soviet Union, intervened against Nazi Germany, the war was going in favour of Adolf Hitler’s ruthlessly efficient and enormously powerful Wehrmacht forces. ENTREPRENEURS 3/31/2016 @ 11:42PM 27,183 views Dubai at dawn. Some cities seem to encapsulate a particular moment in time. Dubai, right now, seems to represent three moments, one more important than the other two. First, one of the last gasps of the oil culture; second, the rise of business as a way to govern society. And third, and most significantly, the shift in the world’s economy from developed markets toward emerging markets. I just came back from the annual conference put on by the Abraaj Group, the emerging markets private equity firm started by Arif Naqvi. Having gone with an eye toward getting a better sense of the city, I came away thinking about New York in the post­World War II boom, when the city was ushering in the decades of America’s ascendance. Dubai is a Middle Eastern city, of course. I said. “It’s 50% off.” “Off what?” “$10,000, down from $20,000.” “You don’t understand,” I said, my forthrightness sending him dashing for shelter behind his counter. “I’m not sure I want to spend $20 today.” But Dubai has invented itself as something bigger than any of those narrow identities. It is emerging as a global city, and possibly the emerging markets capital of the world. It’s one of the five fastest­growing metropolitan areas, according to a January 2015 report from the Brookings Institute. The population of this United Arab Emirate is more 3.3 million today, up from about 1 million a decade ago; about 80 percent of those are expats. I’d been to Dubai last year, during July’s heat, when the temperatures were more than 120 degrees. To ensure those gaps are plugged, hundreds of millions of dollars has been spent by the US on security in the two decades since the breakup of the Soviet Union. Belgium’s bombs are stored inside specially constructed armored vaults underneath protective aircraft shelters that are inside a secured storage site exclusively used for nuclear weapons that is inside a military base. Editor's note from Econintersect: Many of the events and occasions on the list in this article are known to many people. But few of the details appear in primary and secondary school history books. Hat tip to Roger Erickson who recommended the article and made a comment about the way history is taught in schools. (1) As admitted by secret Russian police files that are part of the Hoover Institution's archives, the Russian Tsar's secret police set off bombs and killed people in order to blame and arrest labor agitators. And see this. (2) Japanese troops set off a small explosion on a train track in 1931, and falsely blamed it on China in order to justify an invasion of Manchuria. This is known as the "Mukden Incident" or the "Manchurian Incident". The Tokyo International Military Tribunal found: "Several of the participators in the plan, including Hashimoto [a high-ranking Japanese army officer], have on various occasions admitted their part in the plot and have stated that the object of the 'Incident' was to afford an excuse for the occupation of Manchuria by the Kwantung Army ...." And see this. Last week's hijacking of an EgyptAir flight from Cairo to Alexandria was a rare event. Between 1968 and 1972, airliner hijackings were commonplace around the world, occurring almost weekly in the United States alone. Since then, however, heightened airport security measures including x-ray machines and metal detectors have dramatically reduced the number of hijackings. Even when they do occur, hijackers are faced with strengthened and bullet resistant cockpit doors onboard, as well as air marshals in some cases. Even though yesterday's incident was resolved peacefully after the Airbus A320 landed in Cyprus, questions are going to be raised about security measures in Egyptian airports. In October, a Russian airliner is suspected to have been destroyed by a bomb shortly after taking off from Egypt's Sharm el-Sheikh International Airport. This chart shows the total number of airliner hijackings worldwide from 1968 to 2015. Belgium's counter-terrorism efforts are once again being called into question following the recent tragedies in Brussels. The attacks were carried out against soft targets - the public check-in area of Brussels Airport and Maelbeek metro station - but a series of unusual and suspicious occurrences were also reported at nuclear facilities in the country. The US repeatedly has voiced concerns about Belgium's nuclear security arrangements since 2003. That year, Nizar Trabelsi, a Tunisian national and former professional footballer, planned to bomb the Belgian Kleine-Brogel airbase under the aegis of Al-Qaeda. BRUSSELS (AP) — When Ibrahim El Bakraoui blew himself up in the Brussels Airport check-in area, killing and maiming scores of travelers, it was at least the third time he had passed unimpeded through an airport terminal in recent months. 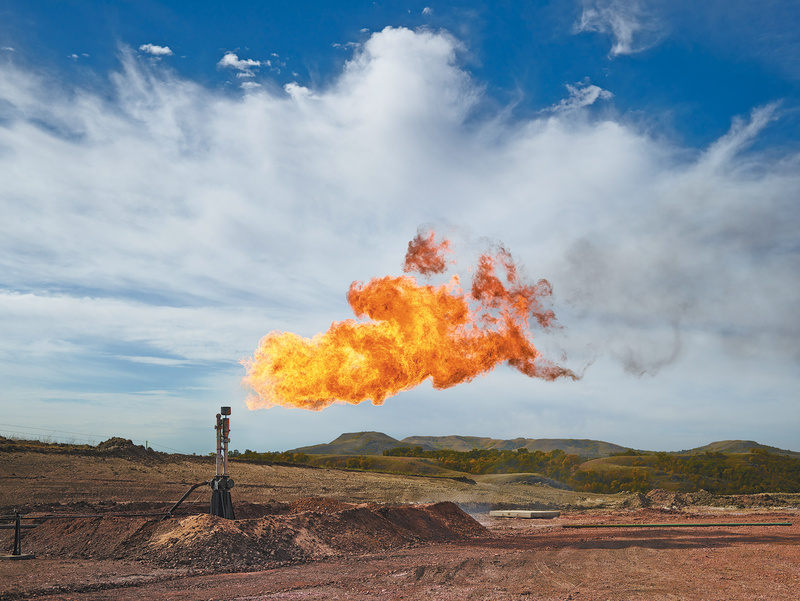 Andrew MooreA flare used to burn off excess natural gas produced by oil wells, McKenzie County, North Dakota, 2014; photograph by Andrew Moore from Dirt Meridian, his collection of images made along the hundredth meridian, from North Dakota to Texas. The book includes texts by Kent Haruf, Toby Jurovics, and Inara Verzemnieks and is published by Damiani. An exhibition is on view at Jackson Fine Art, Atlanta, February 5–April 16. For the past three weeks I’ve been discussing the economic realities the new president will face when he or she takes office next January, using the device of an “open letter to the next president.” Mostly, we’ve been dealing with the economic realities that other countries face and with how difficult the global economic climate is going to be during the next president’s first four years. 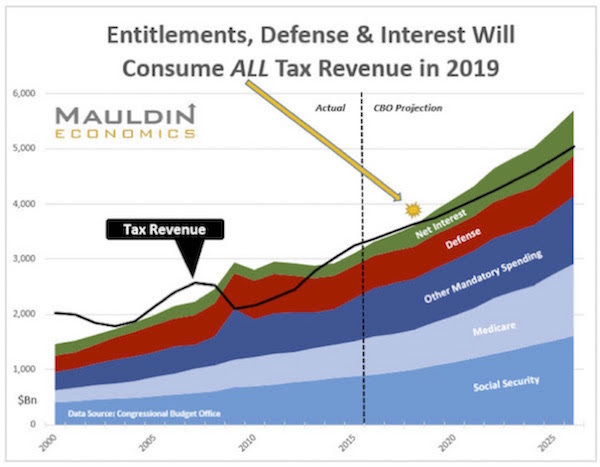 I briefly outlined last week the stark reality of what will happen to the deficit and national debt in the next four years, and I offered a chart of what would happen if (as I think likely) we have a recessionwithin four years. The deficit would immediately blow out to $1 trillion. That figure is before any stimulus and in all likelihood does not include the significant amounts that will have to be spent on unemployment reserves, etc. Moscow isn't sowing Middle East chaos to drive up oil prices. Moscow’s promotion of instability in order to increase oil prices is one of the most popular theories concerning Russian foreign policy in the Middle East. Billionaire oil investor T. Boone Pickens recently expressed this view after Moscow’s recent intervention in Syria. The theory goes like this: Russia contributes to instability, which generates uncertainty, which raises oil prices. But is there any real evidence that raising oil prices is a major priority of Russia’s foreign policy? Russia’s leaders certainly do care about oil prices, and with good reason. Plunging oil prices decrease the ruble’s value, which closely follows oil prices. Oil exports are important to Russia’s federal budget and to its overall balance of trade. Indeed, when monthly average Brent oil prices peaked at about $125 per barrel in March 2012, the ruble was close to its own peak, at approximately twenty-nine rubles to every U.S. dollar. When Brent prices fell to $30.70 per barrel in January 2016, the ruble had fallen to about eighty rubles to the dollar. It is easy to examine this currency-resource correlation by comparing U.S. Energy Information Administration oil price data with Russian Central Bankruble values. As a result, the Russian government has imposed sweepingbudget cuts that will now affect defense expenditures as well as social programs and other areas. Nobody thought Anand Prakash would end up a multi-millionaire. Raised in a small town of Bhadra in western India, Prakash preferred to spend his free time playing computer games in cybercafes rather than outdoors playing cricket with the other boys his age. But when he was still struggling to find a job at college, Prakash discoveredFacebook’s bug bounty programme, which rewards ‘whitehat’ hackers, who test the website for bugs and help protect users’ data. Now, he’s earned more than 10 million Indian rupees (£112,000) by testing websites like Facebook and Google for bugs, and helped protect millions of peoples’ personal data in the process. At the end of February 2016, a 23 year old Palestinian, Majed Awida, was arrested by the Israeli Security Agency (Shin Bet) and the Israeli National Police on his way to cast participants for the singing competition series ‘Palestinian Idol’. Majed a computer and electronic engineer from Gaza was, in his free time, the chair of the Palestinian Talents Club. Ah, but Majed was also a hacker working in the service of the PIJ since 2011. At first Majed worked as a soundman and radio jockey in the PIJ’s youth association radio. In 2012, Majed was asked by the PIJ to develop software that would enable them to hack into the IDF’s drone’s communications over the Gaza Strip. After two failed attempts, Majed’s software successfully hacked into an IDF drone and he was able to watch its high definition camera broadcasts. Majed was also asked to track Israel’s highways and streets. To do so, he hacked into Israel’s National Police live-broadcast traffic cameras grid. Software developed by Majed allowed the PIJ to track air traffic at Israel’s International Airport (TLV), passenger lists, airplane types and weight, and updated landing and takeoff information. Parallel to the activities against Israel, Majed also hacked into Hamas’ Interior Ministry in the Gaza Strip (the PIJ is a political and ideological rival to Hamas). 40 years ago, on April 1, 1976, college dropout Steve Jobs and his friends Steve Wozniak and Ronald Wayne incorporated Apple Computer. At the time, nobody could have imagined that what started in Jobs' parents' garage would become one of the greatest success stories in corporate history. While remarkably successful from the start - Apple went from zero to one and a half billion dollars in revenue within eight years - there were some ups and downs in the company's early days. It wasn't until Steve Jobs' second stint as CEO that Apple became what it is today: the most valuable company in the world. With the release of the iPhone in 2007, Apple's revenue (and profit for that matter) started to skyrocket, reaching a record $234 billion in fiscal 2015. Lately the company has become a victim of its own success though. Given its track record over the past ten years, people have come to expect miracles from Apple. However, a product such as the iPhone doesn't come around every so often, which is why it shouldn't come as a surprise that Apple's growth started to slow down recently. This chart shows Apple's revenue growth since 1977.